My guest in this episode of the Happy Lawyer Happy Life podcast is someone who has continued to move from strength to strength in her career without losing sight of what really matters… happiness. 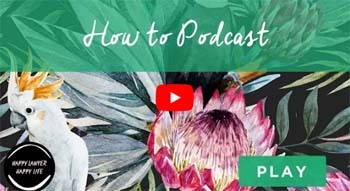 Her name is Nicole Abboud and she’s the presenter of her very own podcast show, The Gen Why Lawyer, as well as founder and owner of Abboud media – a content creation agency aimed exclusively at lawyers. Nicole was a practising lawyer herself for several years but realised that she wasn’t finding it inspiring or fulfilling. So, she set about on her own journey of exploring her passions and sharing the stories of other Millennials crafting their careers and lives, as well as finding happiness and success. Nicole lives in California, USA and so is my first ‘overseas’ guest on the show! I have come to know Nicole over this past year thanks to this wonderful world of social media and she is just a delight to speak with. In this episode, Nicole shares her story with me plus loads more inspiring pieces of advice. Nicole’s Happiness Challenge for this week!